Focusing beyond the visible symptoms of problematic skin conditions, mybody® is founded on the basic idea that when the mind and body are in optimal health, the skin looks and acts younger longer, regardless of age. mybody's® effective clinical skincare formulations combine the latest in proven transformative skin technologies with select ingredients that are in tune with the body to reawaken its own youthful skin processes. Each targeted skincare program works 24/7 to combat unwanted skin conditions that negatively affect overall balance and well-being. Great eyelashes don't just happen overnight. 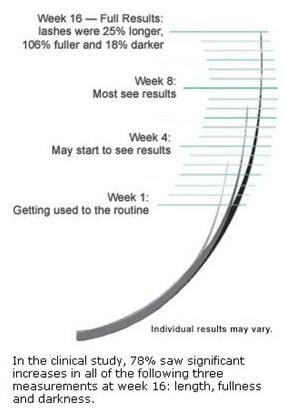 That’s why it’s important to note that LATISSE™ (bimatoprost ophthalmic solution) 0.03% works gradually and remarkably – starting at 4 weeks with full results after 16 weeks. Once you begin treatment, you could start to see results in as little as 4 weeks, but you must continue applying the topical treatment each night and follow the directions for the best results. Remember results are gradual over time. LATISSE™ works from the inside out. As the treatment progresses, you’ll begin to see changes in length, thickness and darkness gradually. After week 16, you’ll see the full effect to LATISSE™ – and so will others. The Theraderm Skin Renewal System is a simple yet extremely effective skin health system. This restorative maintenance system promotes skin that is smooth, has even coloration and restores a youthful appearance. Four critical components for healthy skin (cleansing, exfoliation, free radical protection and restoration of natural oils) are combined by twice daily use of the Theraderm Skin Renewal System to guarantee more beautiful, radiant and younger looking skin.